February means heading south to the Florida Flywheelers for tractors, toys, touring to see whats new in the Village and what the flea market has to offer. This past February I had to pleasure of checking out Virgil Butler’s converted Indiana barn where the building is stocked with his beautiful one of a kind wooden models. Virgil, grew up and farmed in Indiana, then in 1959 moved to Florida to build houses. 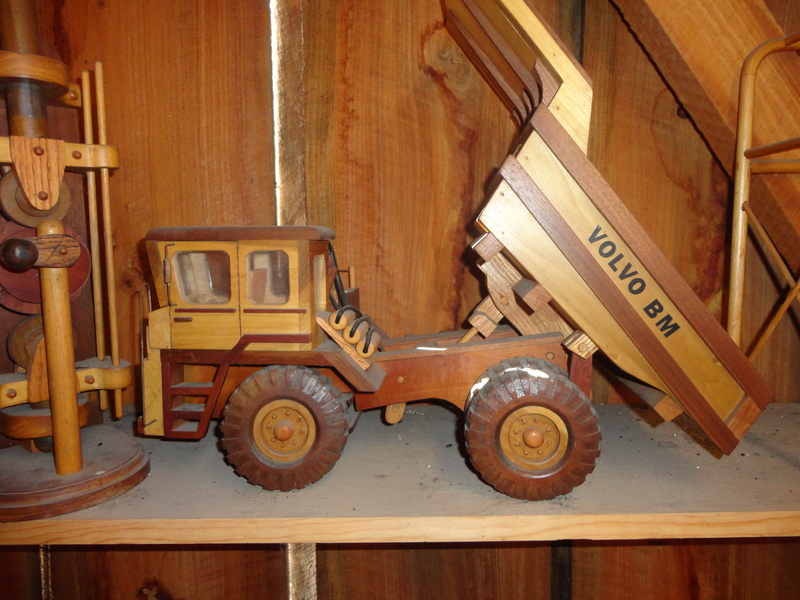 Once retired he started creating toys for his 17 grandchildren. Soon he moved into detailed models like the one above. Virgil’s building is just one of the amazing places to stop and oogle during the Flywheelers shows. Add a stop to an upcoming show to your calendar, we do!. The website is http://www.floridaflywheelers.org. for more information. Previous Post: Old Iron Everywhere!